1. The use of technology in managing quality of patient centered care. 2. Information and communication technology to access evidence based research and practice. 3. Use simulation as an instructional strategy to improve patient care and safety outcomes. 4. Integrating Information technology's competences in academic nursing education. 5. Distance education and the use of E. Learning as an economical way of educational activities. 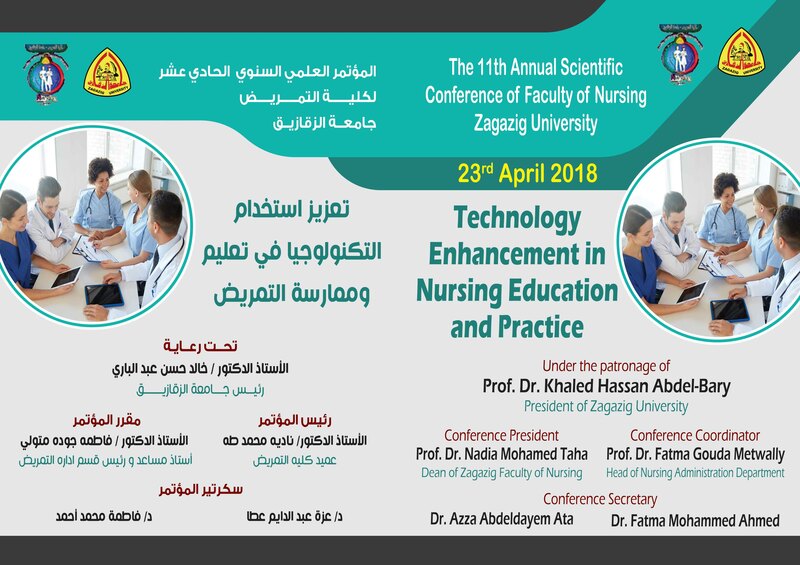 There will be a special Volume of Zagazig Nursing Journal for the Conference.